Olives eaten by bugs and autumn leaves blown off by gales – what a prelude to winter! 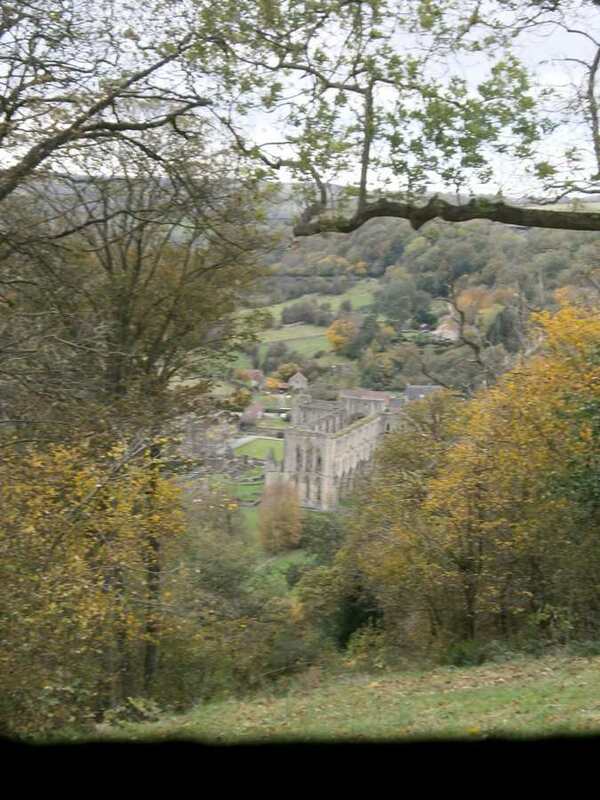 Every year we drive to Rievaulx Abbey to see the autumn colour and walk along the terrace with a perfect view down to the ruined abbey in the valley below. It was one of the ones closed by Thomas Cromwell, a familiar figure to those of us who have read Hilary Mantel’s two novels based on him. 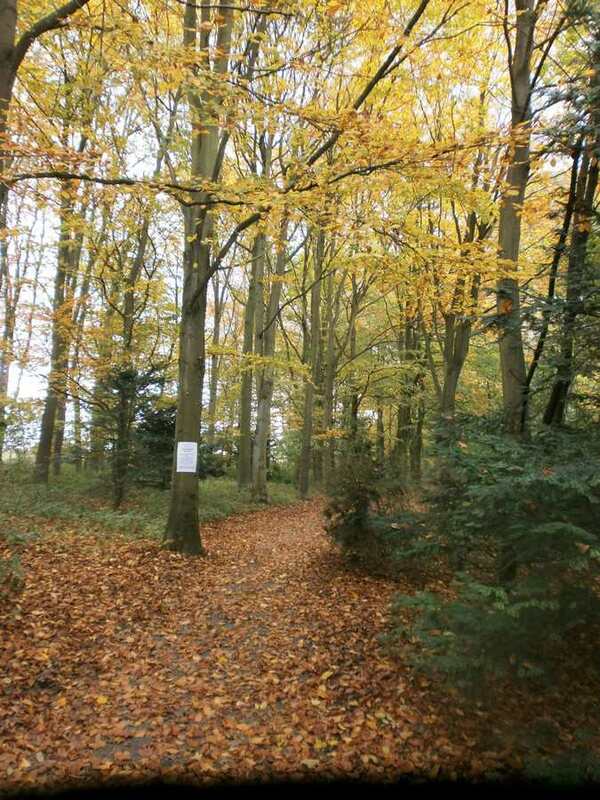 In the woods where you enter the terrace there is a circular area with slightly inclined seven foot long split tree trunks where you are invited to lean back and contemplate the scudding clouds racing across the sky. At the end of the woodland path there is a gate that opens on to the swathe of mown grass along the terrace, about one mile I should think from the round temple to the rectangular one at the other end. The woods are usually a riot of colour, punctuated by evergreens, holly with blood red berries, yew with poisonous ones and the pine trees. Bronze beeches contrast with yellow sycamores amid a riot of other autumn shades. This year twigs already blown leafless interspersed with forlorn green leaves curling brown at the edge. The chestnut trees, like the one in front of our house outside the Minster, suffered from the same disease, their leaves the same blotchy brown. Ashes too are smitten by disease. Hanging woods on the other side of the valley were a darker green than in summer, refusing to turn into autumn. an irregular sequence of little earth mounds. At breaks in the woods hugging the hillside down to the abbey we paused to gaze at ‘the bare ruined choirs where late the sweet birds sang.’ In Shakespeare’s time the stripping of the lead from the roof and the theft of stones from the abbey walls would not be a too distant memory. They were shutting the rectangular temple when we reached it, unable to look at the frescoes in the upper room by an itinerant Venetian painted in the mid-1700s, but the lower one was open with a brief history of the landscaping of the terrace and a number of nature games and quizzes for children. All familiar and reassuring.